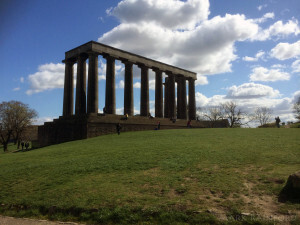 Calton Hill, is a hill in central Edinburgh, Scotland, just to the east of Princes Street, with stunning views across the city. is also famous for its collection of historic monuments, which form some of the most important landmarks of the city. Below a Google map of the area.